Sarah Spencer, my 4x great-grandmother, was the ancestor of my great-grandmother Edith Edna Curtis, who married Oscar Krueger. The identity of Sarah’s parents was not known, so I’m putting what I know about her here so that I can organize the information in one place. According to multiple sources, Sarah was born in Ohio, likely in Miami County. 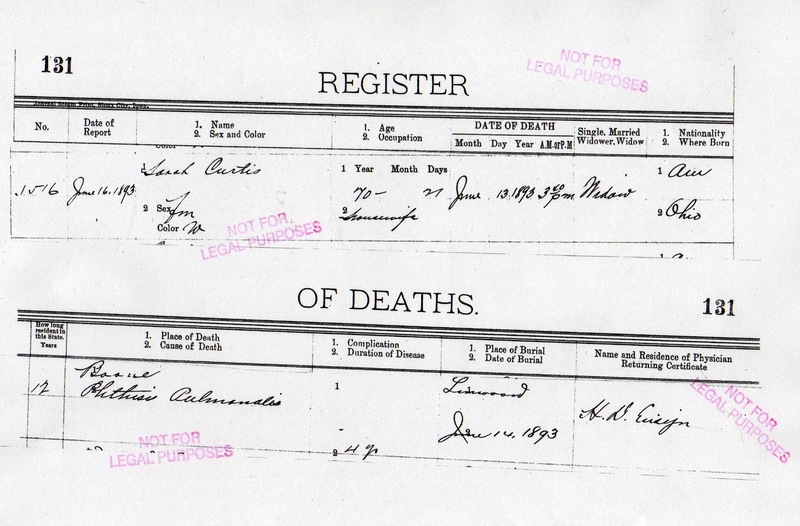 Her death record gives the date of her birth as 23 May 1823. So we know Sarah’s mother was alive in 1840 [and can infer that her father probably was not], and that Harvey Hoover was their sworn witness. This is important because we can find a marriage record from the same county on 20 Oct 1836 for Harvey Hoover and Rebecca Spencer. We can reasonably assume that Sarah and Rebecca were sisters. 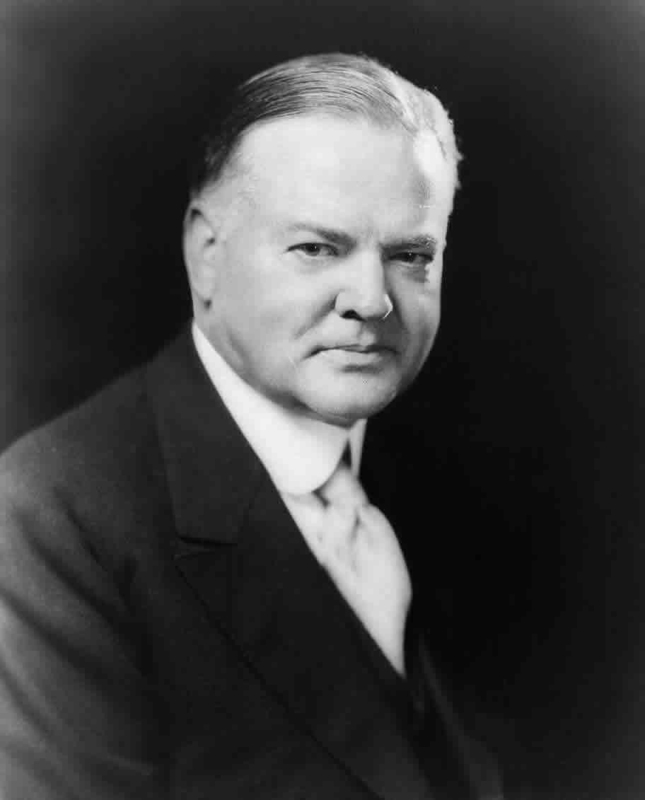 In fact, Sarah and Daniel Curtis’s first son was named Harvey Hoover Curtis. He was my 3x great-grandfather. Rebecca Spencer was born in Ohio on 15 Mar 1819 and died in Pipe Creek, Indiana on 6 Nov 1868. Her death record might yield some clues to her parents. Sarah and Daniel Curtis had four known children. Their daughter Anna Jane Curtis (1841-1924) was born in Troy, Ohio in 1841, their son Harvey Hoover Curtis (1844-1917) was born in Little York, Ohio in 1844, son John Spencer Curtis was born in Miami County in 1846, and Samuel Crawford Curtis (1851-1927), was born in the town of Bunker Hill, Indiana in 1851. The middle name “Crawford” for Samuel might be a clue to the identity of his mother’s parents since there is no Crawford family on the Curtis side. Sarah’s half-brother Newton Jones had a son named Orren Crawford Jones. Sarah’s daughter Anna Jane Curtis had a son named Francis Crawford Hedrick. I’m guessing the name Crawford comes from Anna’s side of the family, and may be the maiden name of her mother. Anna Sutton married James Spencer 29 Nov 1810 in Preble County, OH. Spencer/Sutton Marriage, Preble County, Ohio, 1810. There is a death record for James Spencer in 1825 in Ohio. Unfortunately there are no details in the record beyond that. Anna Spencer married Samuel Jones 6 Sept 1825 in Miami County, OH. There is certainly evidence to support this version of events. The part about Anna Sutton marrying James Spencer has a kink, as she was said to have been born in 1795-6, so that would have made her 14 or 15 at the time of her marriage, but she could have been married young and/or also been making herself a bit younger when answering the census. Marriage at 15 was not unheard of at that time. If we accept this version, Anna marries James Spencer who dies about 1825. This jibes well with the father implicitly dead in the 1840 marriage record for Sarah Spencer. Then Anna remarries to Samuel Jones, who dies between 1850 and 1860. She then goes to live with her daughter until her death. The progression from Miami County, OH to Pipe Creek, IN is a good fit to be the right family and she’s living next to Rebecca Spencer, so I’m fairly confident Anna Jones is Rebecca Spencer’s mother. It’s just a matter of proving that the Anna Spencer who married Samuel Jones in 1825 is also Anna Sutton who married James Spencer in 1810. This theory is further supported by Sarah Spencer’s son being named James Spencer Curtis. Other bits possibly related to this theory: Thomas Spencer married Mary Jeffries in Miami County, OH on 6 Aug 1835. He is also the right age and place to be a possible sibling to Sarah Spencer. John was born about 1811, which jibes well with the 1810 marriage of John Spencer and Anna Sutton. The family moved to Franklin, Indiana sometime around 1840, following a similar trajectory to Daniel and Sarah. In the 1870 census there is a Mollie Ludy living with Anna who was born in 1838 in Ohio. Contradicting this theory is the fact that two of Anna’s children with Samuel Jones list “Anna Harmer” as their mother’s maiden name (Joseph R Jones’ marriage to Emma Fox in 1905 and the biography of Eliza Jones’s husband David Cain, written in 1898, which says: “[David Cain] married, in Pipe Creek township, Miami county, Miss Eliza Jones, a native of this county, born in 1831, daughter of Samuel and Annie (Harmer) Jones.”). 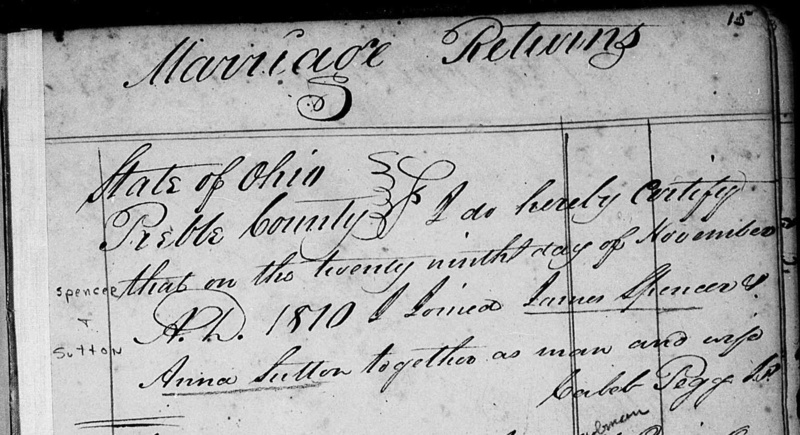 Another theory comes from a marriage record from 12 Nov 1818 in Miami County, Ohio where a James Spencer married a Sarah Jones, or a Sarah Young (depending on which transcription you trust). Again, since Sarah Spencer’s son was named James Spencer Curtis, this could be a relative. I’m following up on all these leads to see if I can determine which is correct. 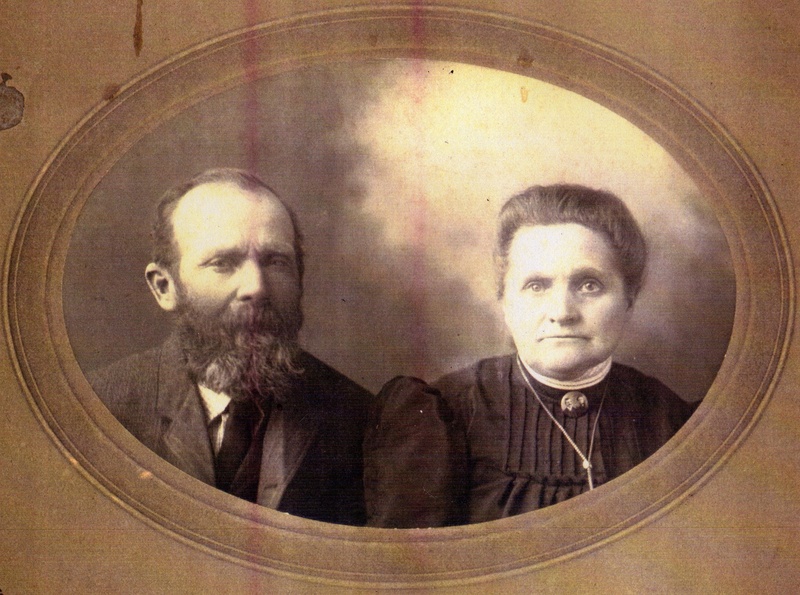 Daniel Curtis & Sarah Spencer, my 4x great-grandparents, were the ancestors of my maternal grandfather, Lloyd O. Krueger. The Curtises and the Hoovers were Quaker families, or as they called themselves “The Friends”. Many of the records for the family are records from Quaker meetings where happenings in the religious community were documented. Sarah Spencer was born 23 May 1823 in Ohio, likely in Miami County. At the time of this writing, I am not totally sure who her parents were, although I am following several leads. I do know that Sarah had an older sister, Rebecca Spencer, who was born in Ohio on 15 Mar 1819. 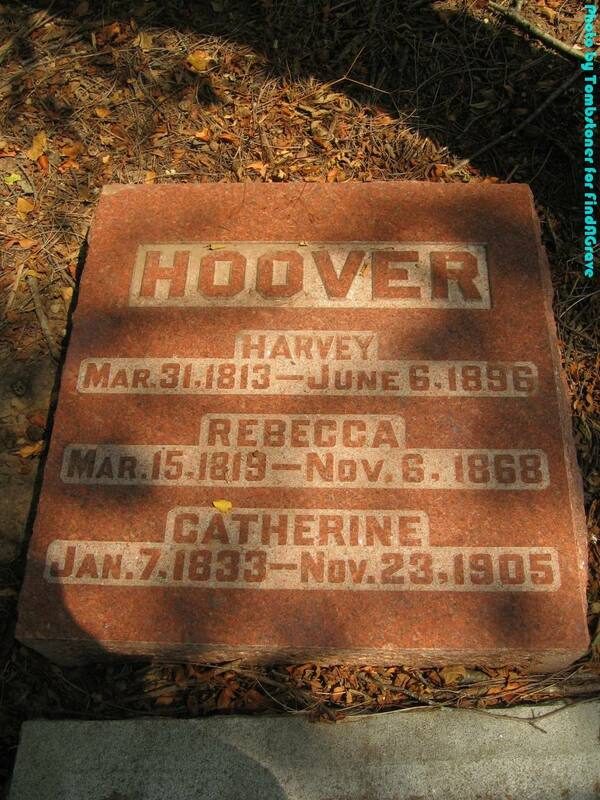 Rebecca married Harvey Hoover on 20 Oct 1836 in Miami County, Ohio. They ended up having six boys and one girl, and living in Pipe Creek, Indiana. Daniel Curtis and Sarah Spencer were married almost exactly four years later on 15 Oct 1840 in Miami County, Ohio by Burrell Pickinings, Justice of the Peace. Sarah’s brother-in-law, Harvey Hoover, was their sworn witness. 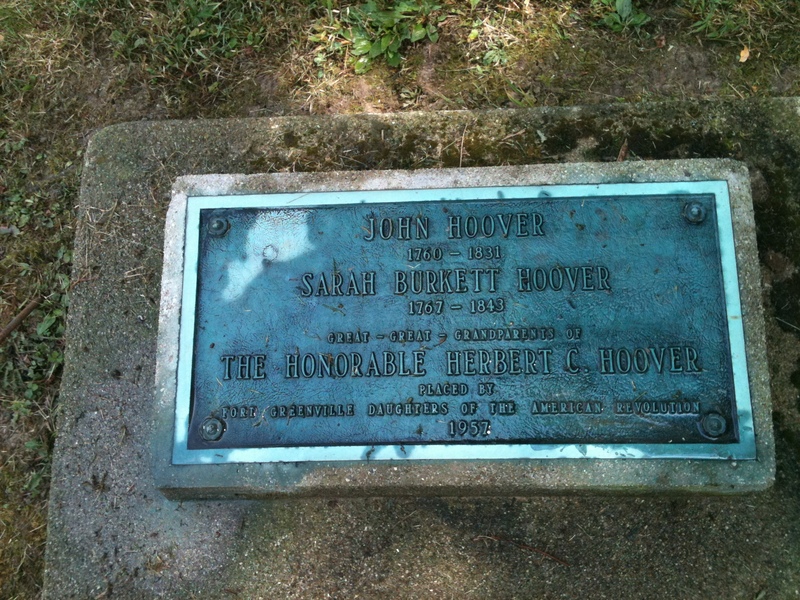 The couple’s first son was named Harvey Hoover Curtis after Sarah’s brother-in-law. Harvey Hoover Curtis was my 3x great-grandfather. Close-up of Mary Hutchins’ brooch. After their marriage, Sarah Spencer and Daniel Curtis stayed in Miami County, Ohio for several years. Their daughter Anna Jane Curtis (1841-1924) was born in Troy, Ohio on 20 Sept 1841, their son Harvey Hoover Curtis (1844-1917) was born in Little York, Ohio on 20 Jan 1844, and the birth record of son John Spencer Curtis (1847-1904) says he was born in Dayton, Ohio on 25 Aug 1847. Anna J Curtis Hedrick, from Ancestry.com & Judy Christensen. Shortly after that, the Curtises moved to Miami County, Indiana where they are in the 1850 census for Pipe Creek Township. 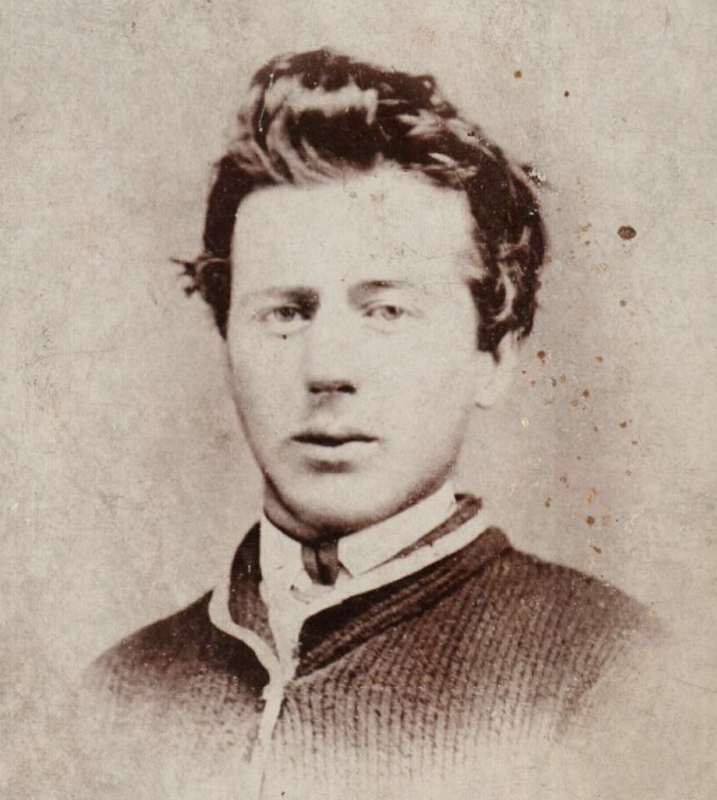 Daniel and Sarah’s youngest son, Samuel Crawford Curtis (1851-1927), was born in the town of Bunker Hill, Pipe Creek Township, Indiana in 1851. Samuel C. Curtis, from Ancestry.com and the Lacy Family Tree. As stated above, the family appears in the 1850 census for Pipe Creek Township, Indiana. Daniel is listed as a farmer from Ohio. Their children Anna, Harvey, and John are also listed. They are also in Pipe Creek for the 1860 Census. Daniel is again described as a “farmer”, and Harvey, John, and Samuel are still at home. Daughter Anna had married William Oscar Hedrick (1838 – 1909) on 26 Jul 1859 and they had moved to Jonesboro, Indiana by 1860. There is some evidence to suggest that Daniel Curtis served as a Private in Company E of the 100th Regiment of the US Volunteer Infantry during the Civil War. This has not been confirmed. Son Harvey Hoover Curtis enlisted in the Union Army on 5 May 1864 as a private with Company C of the 151st Indiana Infantry. He was discharged from service on 29 Sept 1864. He reinlisted on 31 Jan 1865 and was honorably discharged for a second time on 19 Sept 1865. His service garnered him a pension of $12/month starting in 1907. In 1870 the family can be found in the census for Rutland, Michigan. Sons Samuel and John are living with their parents, but John is married and his wife Lenora Ayers (“Eleanora” in the census), and son Charles are also listed in the same household. Daniel is still listed as a “farmer” and Sarah is listed as keeping house. 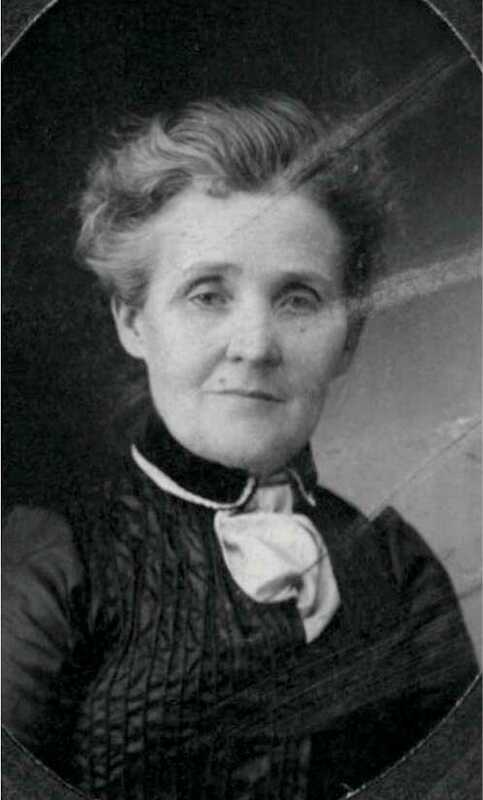 In 1870 daughter Anna Hedrick was in Hastings, Michigan with her husband and family, and son Harvey was in Rutland, Michigan with his family where he was listed as a stone mason in the census. At that time daughter Anna was living in Grinnell, Iowa (the eventual home town of my great-grandmother Edith Curtis) with her family. Harvey was in Bunker Hill, Indiana near his parents, and John Curtis was in Fairfield, Iowa with his family where he was listed as a laborer for the railroad. By 1885, however, John would move to Grinnell as his sister had. 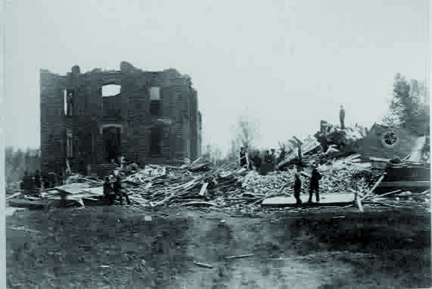 On 17 Jun 1882, John S. Curtis’s infant son Casheous M. Curtis (who was born on Valentine’s day that year) was one of 50 people killed by a tornado which swept through Grinnell. He was buried in Hazelwood Cemetery in Grinnell. Sometime around 1885 Daniel Curtis died. I haven’t found any death record for him, or a burial site. In the 1885 census for Grinnell, Iowa, Sarah is living with her daughter Anna and is listed as “widowed”. 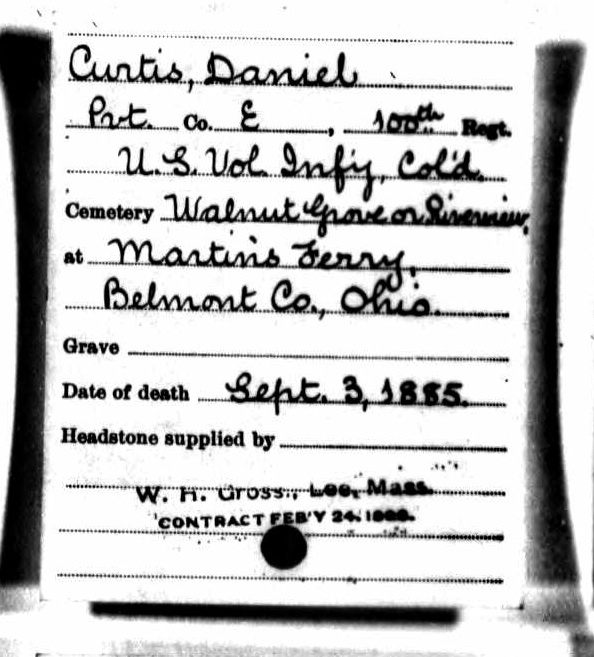 A record exists from “Headstones Provided for Deceased Union Civil War Veterans, 1879-1903” ordering a headstone for a Daniel Curtis who died 3 Sept 1885. It’s not clear at all that this is my grandfather since the town listed is Martin’s Ferry, Belmont, Ohio. As far as I know Daniel never lived there, so it seems odd that this would be where he’d choose to be buried. I’m very skeptical that this has anything to do with my family. Martin’s Ferry is in a totally different part of Ohio than anywhere Daniel is recorded to have lived. In any case, Sarah seems to have lived with her daughter Anna in Boone, Iowa, until her own death. She died there, in her daughter’s home, on 13 Jun 1893 at 3:40pm from “phthisis pulmonalis“, a form of tuberculosis, from which she had suffered for four years. Her death record says that Sarah was buried in the Linwood Cemetery in Boone, Iowa, on 14 Jun 1893, but according to the cemetery office there is no marker for her grave there, and the Boone County Library was unable to locate her in the cemetery records. So there are many mysteries that remain to be solved. Who were Sarah’s parents, and when was she born? Was Daniel a Civil War veteran? When did he die? Where are Daniel and Sarah buried? John Hoover’s parents were Andreas Huber (1723-1794), who was from Ellerstadt, Germany, and Anna Margaretha Pfautz (1725-1798), who was from the Neckar Valley in Wurtzburg, Bavaria. They came to the US in the 1720’s, which is quite a bit before the rest of my German/Prussian ancestors got here.